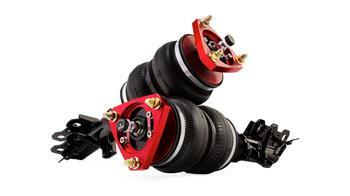 Air Lift Performance Series Air Suspension provides the adjustability you only get with air. The quality, performance and look you only get from Air Lift Performance. Drive it. Show it. Track it. No other suspension gives you the ability to comfortably drive you car daily, slam it to the ground for show-winning stance, or tear up your favorite race track: all with the touch of a button and twist of a knob. Since each kit is custom made for a particular chassis and painstakingly tested, you can be confident that it’s got what it takes to take your ride to the next level. One Year Limited Warranty – We know stuff happens. Isn’t it good to know that Air Lift Performance will cover every part in your kit for one year and do it with a smile? Superior Customer Service – We pride ourselves in being a customer service leader in the automotive aftermarket. Don’t take our word for it. Ask our dealers and customers! That’s the peace of mind you get when our logo is on the box.